April 25th, 2017 [ Pleasanton, Calif.] – Title21 Health Solutions, a provider of innovative technology for health sciences was voted among the Top Five Best Places to Work for small businesses in the San Francisco Bay Area. Over 530 Bay Area companies participated in an independent, third-party survey that asked employees to grade their workplace anonymously on traits such as work culture, team dynamics, benefits, overall compensation, management practices and career development opportunities. Title21 Health Solutions is a leading provider of enterprise quality management software for health science organizations, and in recent years, has gained recognition for its robust software supporting regenerative medicine, blood and marrow transplant, and cellular therapy to improve patient care and outcomes. View Title21 Health Solutions’ company profile on the 2017 Best Places to Work List. Title21 Health Solutions delivers easy-to-use, flexible and integrated technology to support health science organizations to gain efficiencies, enhance compliance and improve patient care. Title21’s product line includes web-based quality management solutions and the most comprehensive cellular therapy software available on the market. For a list of Title21’s current open positions, visit Title21.com/Careers. 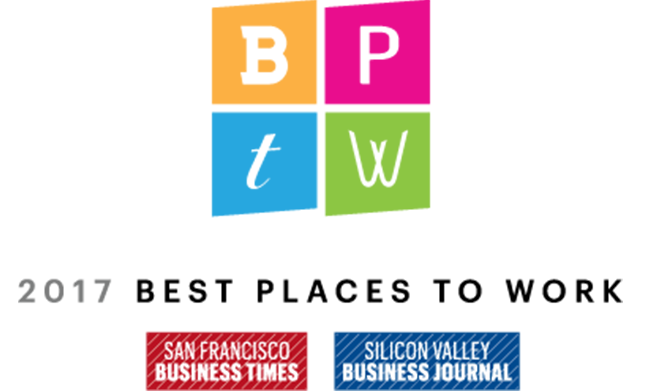 Best Places to Work is an innovative publication and awards program produced by the San Francisco Business Times and the Silicon Valley Business Journal. Rankings are determined by surveys that are distributed directly to employees who answer a series of questions online via Quantum Workplace. Rankings are based on Quantum’s numeric scoring process, grading employers on categories such as compensation, benefits, work culture, team dynamics, organizational structure, and work/life balance.